 The spoon electrode is used for the massage of the small areas, like under the eyes, crow feet area, around nose or lips.  The part with a metal cup is to be inserted into high frequency device handpiece. 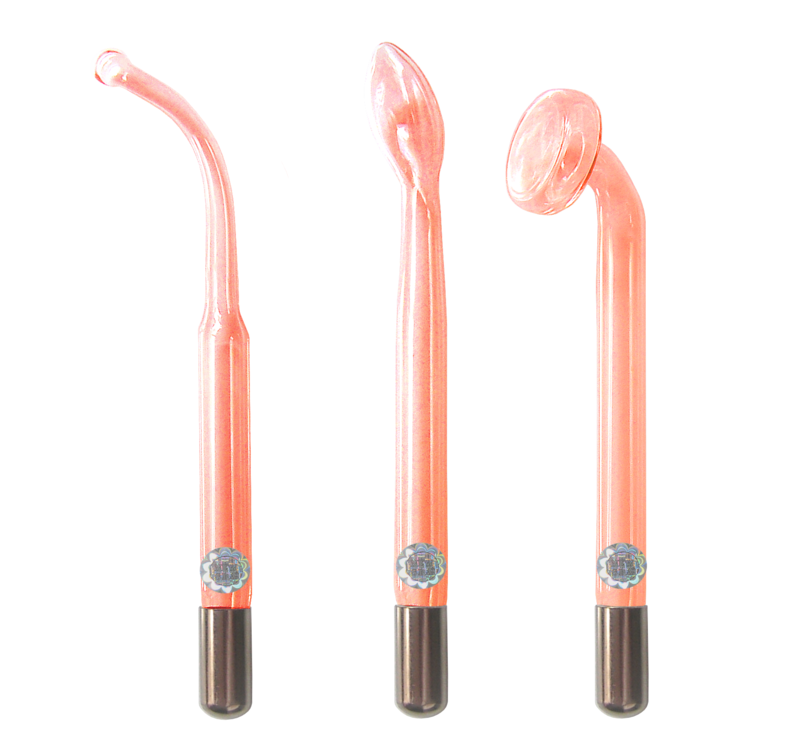 The rod electrode is used to treat small spots, like blemishes or other areas of concern of the face.  It produces strong high frequency charge and should be applied only for a few seconds at each spot. Hold it a bit away from the skin to create an electric arch. Do not apply at the same spot more than 15 seconds.